According to musician Deepak Jangam: Lyricist Hari Bhakta Katuwal wrote the lyrics of 'Malai Nasodha Kaha Dukha Ghau' on a cigarette packet paper found on the street at Kamaladi. The well known lyricist then handed over the paper to Deepak Jangam, Narayan Gopal, Ambar Gurung and Shanti Thatal to compose the music. Later, Narayan Gopal decided to compose the music to the song and sang it in his own voice. The song is one of the most popular songs of Narayan Gopal. Jangam says Hari Bhakta Katuwal was one and the only lyrics who used to write lyrics in consideration with the meter of music and the tunes. He told, he hasn't met another lyricist of that level yet. It is going to be the 83rd birth anniversary of Lyricist Hari Bhakta Katuwal in July 2, 2018. He had died in his 40s (in 2037 BS). 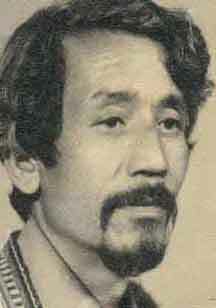 Katuwal is popular for his simple but meaningful poems. Songs like Daali Daalima, Pokhiyera Ghaam ko Jhulka and Malai Nasodha Kaha Dukchha Ghaau are some of the most popular songs of the lyricist. they teach history of the days that have already died. Born in Assam, India, Katuwal migrated to Kathmandu because of the flooding in Assam. Katuwal’s some famous works include — Yo jindagi khai k jindagi, Badnaam mera ye aankhaharu (collection of poem and songs), Spastikaran (story collection), Hari Bhaktaka Rachanaharu (poetry, songs and muktak collection). Apart from the written works, 36 of his songs have also been recorded.